Visit Kusala's - Facebook Page - to see his latest posts. Visit Kusala's - iTunes Podcast - to listen to live presentations. Visit Kusala's - www.UrbanDharma.org - for the Buddha Dharma. Visit Kusala's - YouTube Channel - to view some of his old and new videos. 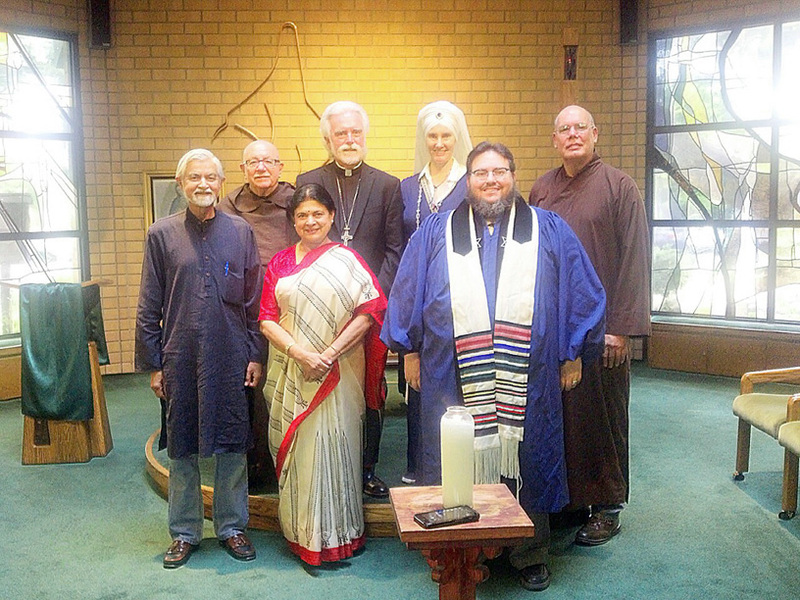 Kusala is a member of the Buddhist-Roman Catholic Dialogue of Los Angeles and the Interfaith Council of Garden Grove, Stanton, and Westminster. 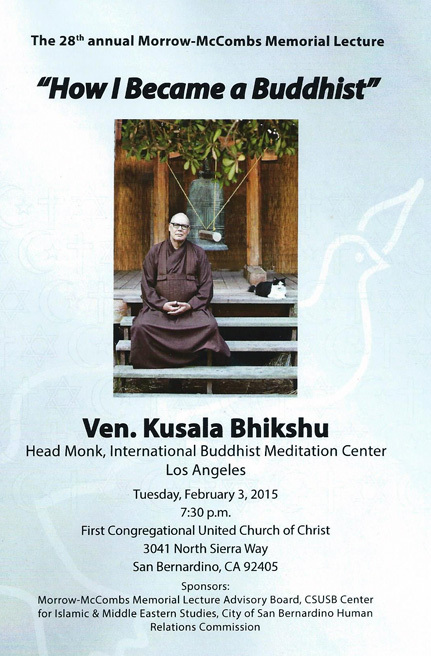 Kusala was Buddhist Chaplain for the University Religious Conference at U.C.L.A and director of the University Buddhist Association at UCLA for eleven years. // In 2000 Kusala was invited to join the UCLA Medical Center Spiritual Care Committee and in 2012 he retired from the Spiritual Care Committee at UCLA. In November of 1998 Kusala was a delegate to the World Fellowship of Buddhists conference in Sydney Australia. // In June of 1999 he assisted the Ven. Tenzin Kacho, and Rev. 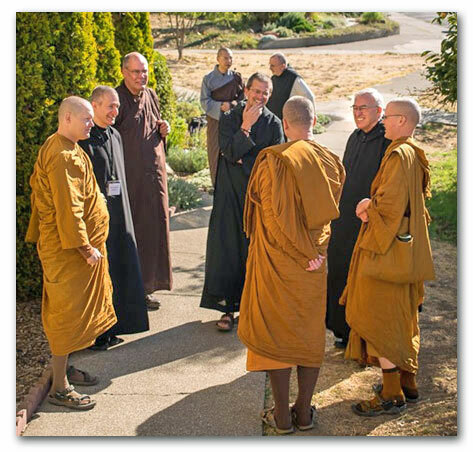 Meido with the 5th Annual Western Buddhist Monastic Gathering held at Shasta Abbey. // August of 2000 Kusala, and Dr. Michael Kerze gave presentations detailing the Los Angeles Buddhist- Catholic Dialogue, at the international conference of The Society of Buddhist-Christian Studies in Tacoma Washington. Kusala has been featured in several Los Angeles Times articles: "Zen, USA" (2/18/1997), "Soul Searching" (6/2/1998), "Biding our Time" (11/15/2001), and "Monks Get the Joke Too" (4/29/2003). In December of 1997 Kusala and his motorcycle were on the cover of the U.C.L.A. publication, Pacific Ties. In June of 1998 he appeared on the television show "Vibe" with Sinbad (UPN network), and spoke about his work in Juvenile Hall. In 1999, 2001, and May 2002 he was a guest on the show "Life and Times" (KCET... public television). In April of 2000 Kusala was featured in a report on "The News Hour with Jim Lehrer" (KCET... public television) entitled... "Teaching Religion in Schools." 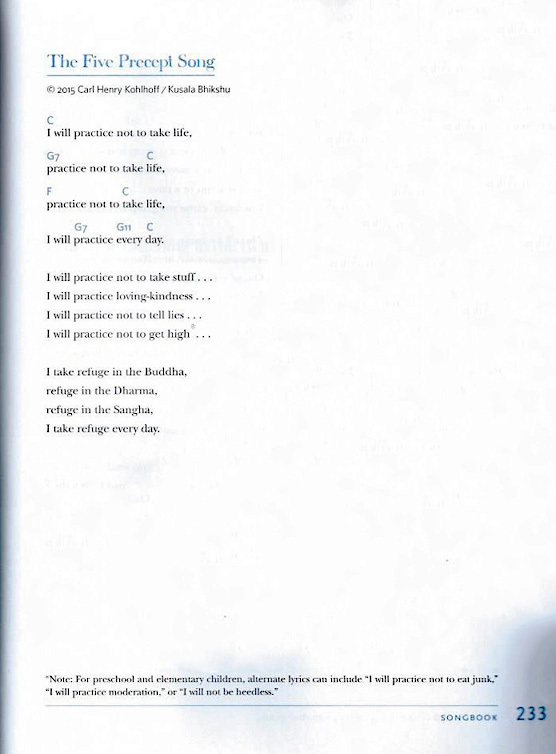 The UCLA Bruin in Jauuary, 2003 featured Kusala in "Students Resurrect Campus Buddhism." 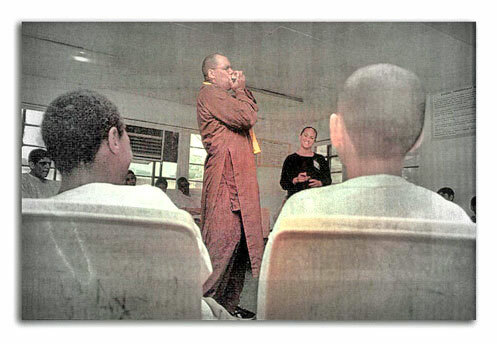 // In addition to his other duties Kusala Bhikshu gave presentations in the Los Angeles County Central Juvenile Hall on Buddhism and meditation for four years, and for a year taught blues harmonica at a juvenile probation camp in Malibu, CA. Before his work in juvenile hall and the probation camp, he spent one year as a volunteer at the Los Angeles County State Prison for men. // In December of 1998 Kusala was given the "Good Samaritan of the Year" award for his work in juvenile hall by the Los Angeles County Probation Department. In March of 2000 Kusala ended his volunteer work at Central Juvenile Hall and accepted an invitation from the Garden Grove Police Department to become the first Buddhist police chaplain in Garden Grove. // November 16, 2001 Kusala received a certificate of recognition from the California State Assembly, and a certificate of special congressional recognition from the United States Congress for his work with the Garden Grove Police Department. In 2007 Rev. Kusala ended is volunteer work in Garden Grove after seven years of service. March of 2003 found Kusala in Los Angeles as a guest speaker at; "A Spirituality and End-of-Life Care Conference," sponsored by Santa Monica-UCLA Medical Center's Palliative Care and Spiritual Care Departments, and in Indianapolis, Indiana as a guest presenter at the "Spirituality & Healing in Medicine: A Multi-Cultural Approach" conference, sponsored by Harvard Medical School and the "Mind/Body Medical Institute" and The George Washington University and the "The George Washington University Institute for Spirituality and Health". 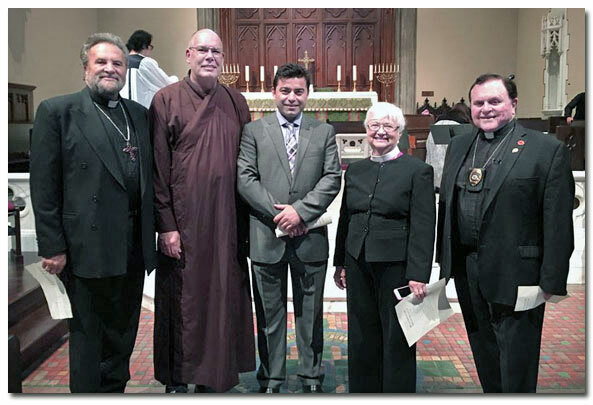 // In April Sr. Mary Margaret Funk OSB, executive director of MID (Monastic Interreligious Dialogue) joined with Rev. Kusala in historic New Harmony, Indiana to lead 40 participants through a week-long Benedictine Experience "Benedict's Dharma 2" based on the book "Benedict's Dharma". // October brought Kusala together with other clergy on an interreligious panel to discuss "Pain & Suffering at the End of Life," at the '5th Annual Pain Management & Palliative Care Conference' sponsored by the City of Hope and held in Huntington Beach, California. // In November of 2003 Kusala gave a presentation and workshop on 'Forgiveness in Buddhism' at the "Spirituality & Healing in Medicine: The Importance of Forgiveness" conference in Boston, sponsored by Harvard Medical School and The George Washington University. // October of 2004 found Rev. 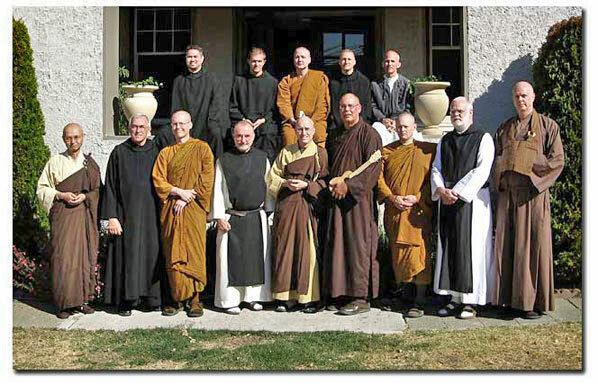 Kusala at the first 'Monks in the West' gathering of Buddhist and Catholic monastic men. // In December of 2004 Kusala gave a presentation and workshop on 'A Buddhist Approach to Patient Health Care' at the "Spirituality & Healing in Medicine: "The Integration of Mind/Body Practices and Prayer" conference in Boston, sponsored by Harvard Medical School and The George Washington University. In January of 2005 Kusala Bhikshu was awarded the 'Los Angeles Mayor's Certificate of Appreciation' for his work with the Wilshire Center Interfaith Council of Los Angeles. // Kusala was in Santa Fe, New Mexico in April of 2005 giving a workshop and participating on a religious panel for the "Spirituality & Healing in Medicine: "The Integration of Mind-Body Practices and Prayer" conference. May found Rev. Kusala at the 'City of Hope' speaking to seminary students on "Buddhism and Patient Health Care." // In June Kusala Bhikshu was invited to speak as part of a religious panel to the UCLA Department of Social Welfare Field Instructors on "The Interface of Spirituality and Social Justice." // In December of 2005 Kusala was again part of the "Spirituality & Healing in Medicine: "The Integration of Mind/Body Practices and Prayer" conference, this time in Boston. // In 2005 Kusala's Podcast "Urban Dharma" became available on iTunes and his web site Urban Dharma at: www.MyPodcast.net. In March of 2006 Kusala did a two part video interview with Bukkyo Dendo Kyokai and Magic Bell Productions for their weekly TV program "The Buddhist Way of Life," available for free download at: Urban Dharma Video. // April of 2006 Rev. Kusala was featured in a 'History Channel' documentary titled "Heaven, Beyond the Grave," Kusala spoke on Buddhist heaven and nirvana. Also In April... He Preformed a wedding in Big Sur, California and was part of a religious panel speaking on Buddhism in America at the Higashi Honganji Buddhist Temple in downtown Los Angeles, California. // In September Kusala was invited to teach an extension class at Loyola Marymount University on "Integrating Buddhist Practices Into Everyday Life." October 2006 found Kusala in Collegeville, Minnesota at "Monks in the West II" speaking on, "Why Buddhist Monks are Celibate." // In December Kusala was invited to be on a religious panel at the 'Celebration of Oneness Gathering' held in the Pasadena Convention Center discussing, "Oneness Across Religious Barriers". 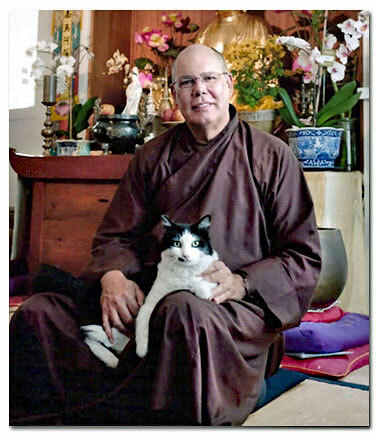 January 2007 found Kusala back at Loyola Marymount University teaching a five week extension class on the "Buddhist Eightfold Path." // In March Kusala added a Video Page to Urban Dharma. // In July of 2007 Rev. Kusala was invited to St. John's Abbey in Minnesota to present at the Monastic Institute Conference on "What it means to be a Buddhist." Kusala's presentation at St. John's Abbey in MP3 - Part 1 - Part 2. // November found Kusala at the Wilshire Boulevard Temple, one of the oldest Jewish Temples in Los Angeles, speaking on basic Buddhism - Web Page. // In December of 2007, with ever increasing commitments, travel and weekly Dharma talks, Rev. Kusala stepped down as volunteer ride-along Buddhist Chaplain for the Garden Grove Police Department after seven years of service. May of 2008 found Rev. Kusala at Gethsemani Abbey in Kentucky, home of the late Thomas Merton. 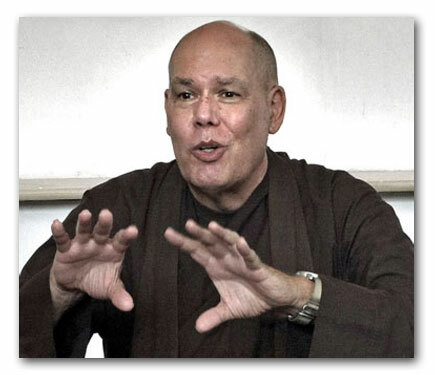 He was attending the Gethsemani 3 - Monasticism and the Environment conference with Buddhist/Catholic monks and nuns from around the world... A statement was produced adding a monastic voice to the global dialogue. In October of 2008 Rev. Kusala was a featured presenter at a weekend of Buddhist-Christian Dialogue sponsored by the Council of Pacific Asian Theology in San Francisco, the title of Kusala's talk was, "Buddhism in America the Urban Experience." // In November Kusala was invited to be part of a panel discussion sponsored by The Bellarmine Forum, his topic was, "What it means to be a member of a minority religion?" // Also in November Rev. Kusala was invited to speak to the Rotary Club of Glendale on his community service work and being a Buddhist monk. January 2009 found Rev. Kusala speaking to the Monte Vista Unitarian Universalist Congregation in Montclair, CA on "Buddhism and Social Justice." // February found Kusala speaking at Bishop Montgomery High School, to Mary's Circle at the First United Methodist Church of Redondo Beach on basic Buddhism and St. Joseph's Hospital in Orange, CA as part of an inter-religious panel on "Death and Dying." // In March, Kusala was busy speaking at the 'Center for Spiritual Living in Palm Desert', 'Against the Stream Buddhist Meditation Society' in Los Angeles and 'Insight LA'... Northwood High School, Corona Del Mar High School and Palos Verdes Peninsula High School. // May was a busy month for Kusala, he gave talks at Cal Poly Pomona, Chadwick School, the U.U. Church of Ventura, the Unity Church of Ventura and he officiated a wedding in Westlake Village. He spoke once again to the members of the Council of Asian Pacific Theology, this time in Seattle Washington on "Buddhism in America, the Urban Experience." In August of 2010 Ven. Kusala was featured on Public Radio and in July of 2011 on "Voice of America." // In 2011 Kusala stepped down as Buddhist chaplain for the University Religious Conference at UCLA and director of the University Buddhist Association. In April of 2012 Rev. Kusala spoke at the 'Ventura Center for Spiritual Living' and 'All Saints Church in Beverly Hills' on compassion. // In May of 2012 Rev. Kusala began leading a group, 'The Buddhist Circle' at Leisure World in Seal Beach, CA - It's an ongoing gathering the fourth Saturday of the month with meditation and Dharma talk. // In September of 2012 Rev. Kusala gave presentations at Louisville Catholic High school. // June 2012 found Kusala on stage with the 'Walter Trout Band' playing his blues harmonica. // October 2012 - Rev. Kusala participated in the third 'Monks in the West' held at 'The City of Ten Thousand Buddhas" and gave presentations at Peninsula High School, Immaculate Heart Catholic High School and Bishop Montgomery Catholic High School. In February of 2013 Rev. Kusala was invited to be part of the Cedars Sinai Hospital Spiritual Care Committee and share is understanding of Buddhist patient care and end of life issues with chaplain's in training. July of 2013 found Kusala in an a "Science of Mind" magazine article written by Lisa Napoli with the title, "Finding Peace in the Noise." August... Koi USA Magazine published an article by Kusala, "The Care of Koi as Practice." In Feb.. of 2014 Rev. Kusala spoke in Decker Hall at "Pilgrim Place" in Claremont CA on, "The Ups and Downs of Community Service: 20 Years and Counting." 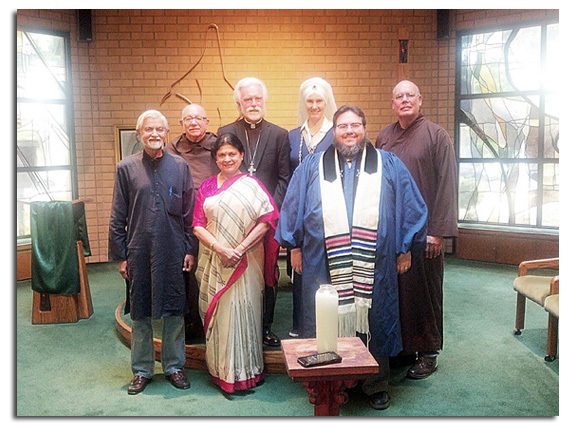 May, 2014 found Kusala in Graden Grove as the guest speaker at the Interfaith Unity Banquet. In Oct. Ven. Kusala was invited to speak at the "World Day of Prayer II", Mount Saint Mary's Doheny Campus. Feb.. 2015 found Kusala in San Bernardino, CA as guest speaker at the 28th annual Morrow-McCombs Memorial Lecture. He was the first speaker outside of the Abrahamic religions to give a presentation. In May and June of 2015 Rev. Kusala attended and spoke at the 4th Gethsemani Encounter in Kentucky on 'Spiritual Maturity' and the 10th International Whitehead Conference on Process Theology and the Environment. In July of 2015 Kusala Bhikshu was invited by the city of Garden Grove to open their Dalai Lama Event with a Loving-Kindness Meditation and Buddhist Blessing. Mayor Bao Nguyen thanked Kusala in a letter for his support of this special event. In August of 2015 Kusala retired from the 'Cedar Sinai Hospital Spiritual Care Committee' after a year and a half of service. In a letter dated Sept. 11, 2015, Rev. 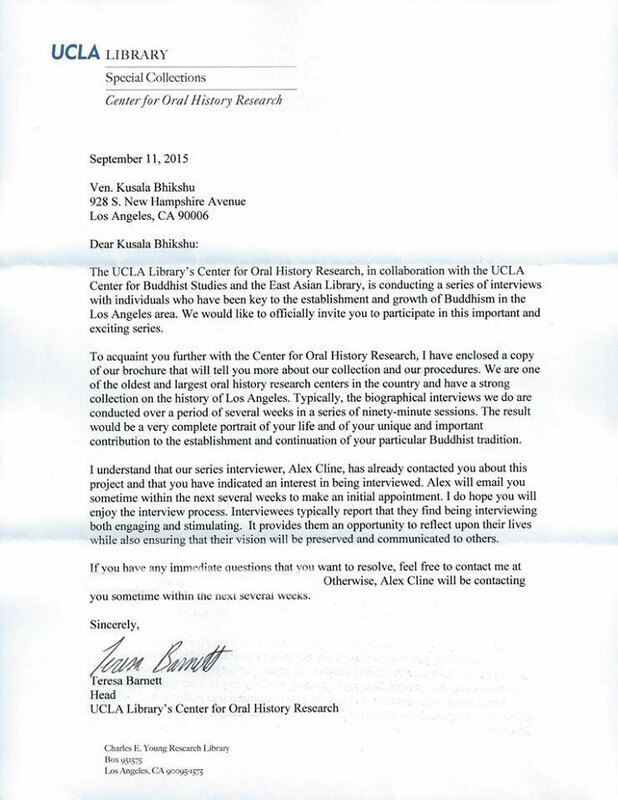 Kusala was invited by the UCLA Center of Oral History (Special Collections) to share his story for future use. In June of 2017 Rev. 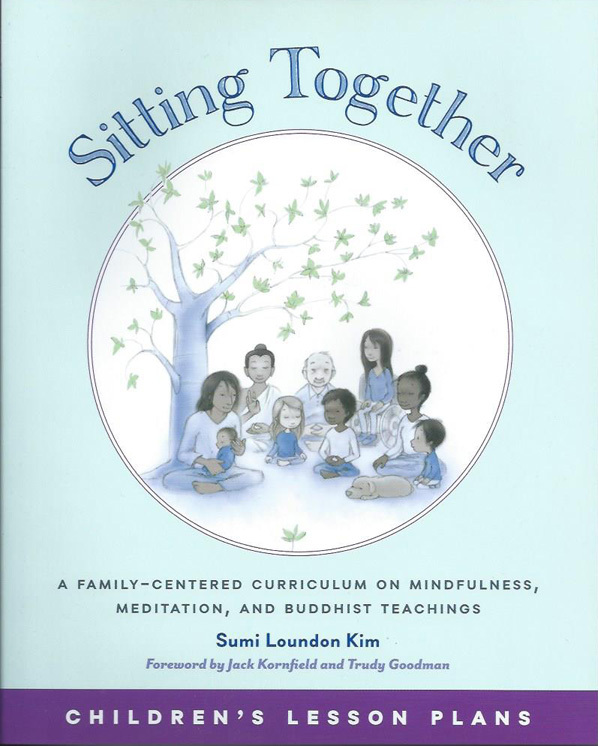 Kusala's 'The Five Precepts' song was published in, 'Sitting Together' a family-centered curriculum on mindfulness, meditation, and Buddhist teachings by Sumi Lounden Kim, Wisdom Publications (Video). September, 2018 the 'Against the Stream' on Melrose closed its doors forever and Kusala after 9 years of 4th Sunday talks at ATS gave his last Dharma talk on 9.23.18. February 22, 2019... Rev. Kusala reached a Facebook milestone. He posts, since joining in 2008 had received 1,000,000 likes. 928 S. New Hampshire Ave.